Nose: Incense and old leather. Palate: The toasty aromas of gingerbread, quince jam and a warm orange zest arise while tasting. Just when you think it can delight no more, the finish brings fresh hints of liquorice and a spicy sweetness. The Jean Fillioux Vintage 1953 Millésime Cognac is one of life's treasures - and as such, should be treated with the utmost respect. This limited edition, private collection Cognac is one of the (many) success stories from the house of Jean Fillioux. 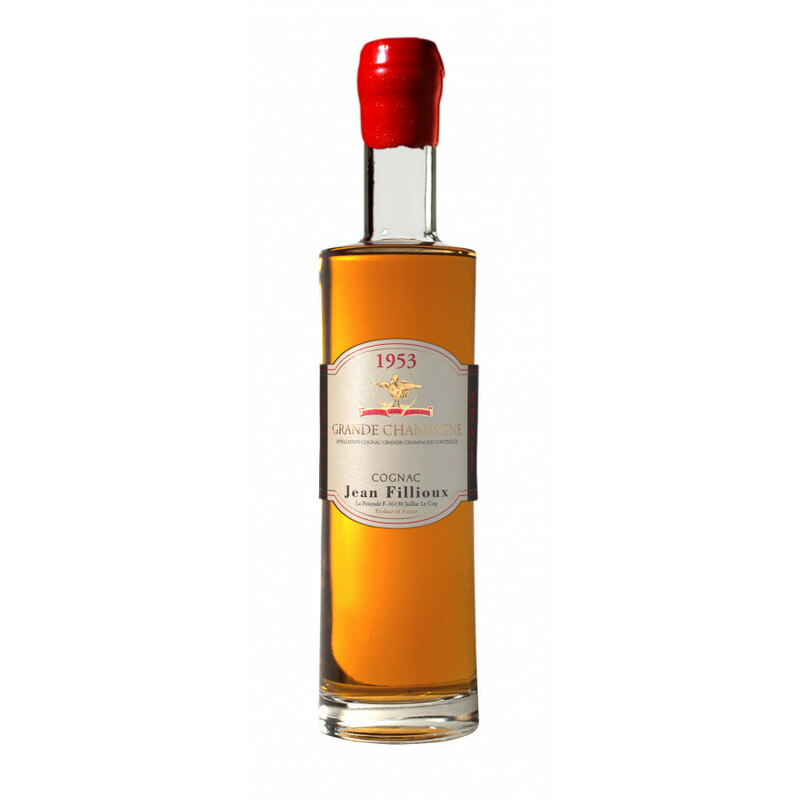 Dating from 1953, this is a precious single-year Vintage Cognac from the heart of the highly coveted La Pouyade estate. Carefully nurtured in the dark cellars in the Grande Champagne terroir for an impressive 57 years, this Cognac is created in optimum conditions and makes for a superb spirit. A combination of the location of Jean Fillioux at the heart of the Cognac region, alongside their five generations of expertise and heritage, makes for a Cognac house that truly knows how to deliver the most premium of quality. The “Premier Cru” is home to the “Golden Triangle”, and the Domaine de la Pouyade is right at its epicentre. For this reason, Jean Fillioux Cognac benefit from the chalkiest soil, that is rich with lime. Its complex geological composition that has been formed over millions of years. It is as if, just by chance, this small patch of earth was destined to create the finest Cognacs in the world, such as the 1953 Vintage. The Ugni Blanc grapes that are cultivated are therefore at the perfect acidity level to make a wonderful cask of Millésime 1953 Cognac. Cellar Masters, Pascal and Christophe, have fine-tuned their skills to understand every signal that the Cognac is aging well, and with grace. Lose yourself in this mature Vintage Cognac, and take the time to savor it. You will experience potentially the most prestige bottling in their range. As a good vintage should be, enjoy it neat. 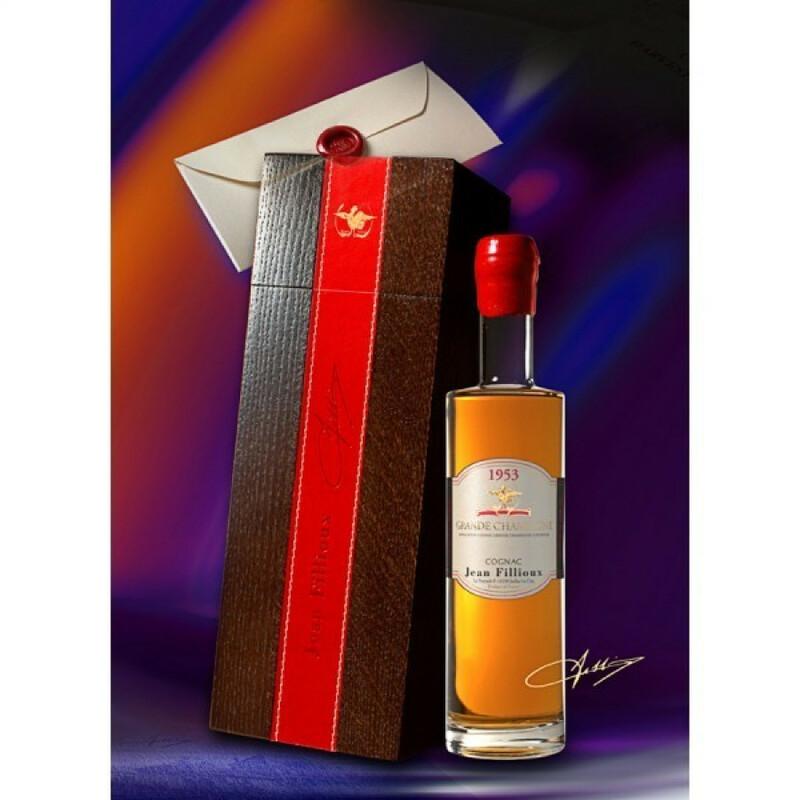 Due to the rarity in stock, this precious Jean Fillioux 1953 Cognac is bottled at 35cl, and is a once in a lifetime spirit. The slender bottle is chic and simple, with a gold-embellished labeling and the family emblem etched on to the front. Head to our blog to find out about Jean Fillioux’s presence at the 2018 Cognac Expo event in Bergen.